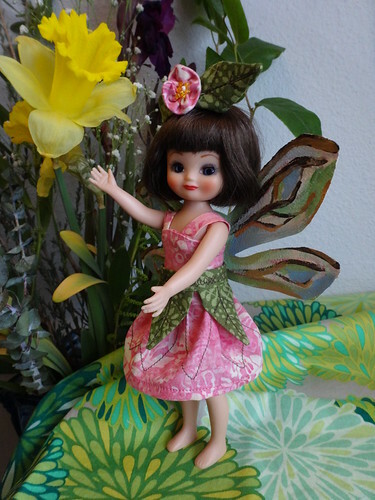 Thank you to everyone who entered the tiny doll sewing challenge! There were around 30 entries (see some of them here) and I’m not good at making decisions, so thankfully my mom agreed to choose the winning entry! Esyram added an applique on the skirt, and a border along the bottom that looks like a separate skirt. She did a really nice job positioning the flowers on the straps to look like buttons too! Little girls LOVE ruffled dresses, and Pauline’s dress, along with the way this picture was set up told a story of a little girl who felt as beautiful as a princess in her new birthday dress! There aren’t a lot of dresses that look equally pretty in front and back, but Lynda’s was an exception. The tiny buttons and roses were an extra special touch. 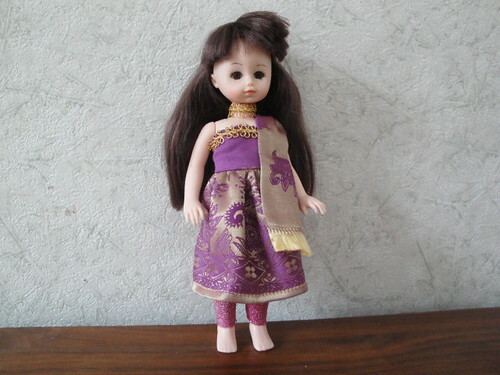 I like this outfit for the creative use of fabric and trim to give it an ethnic feel. 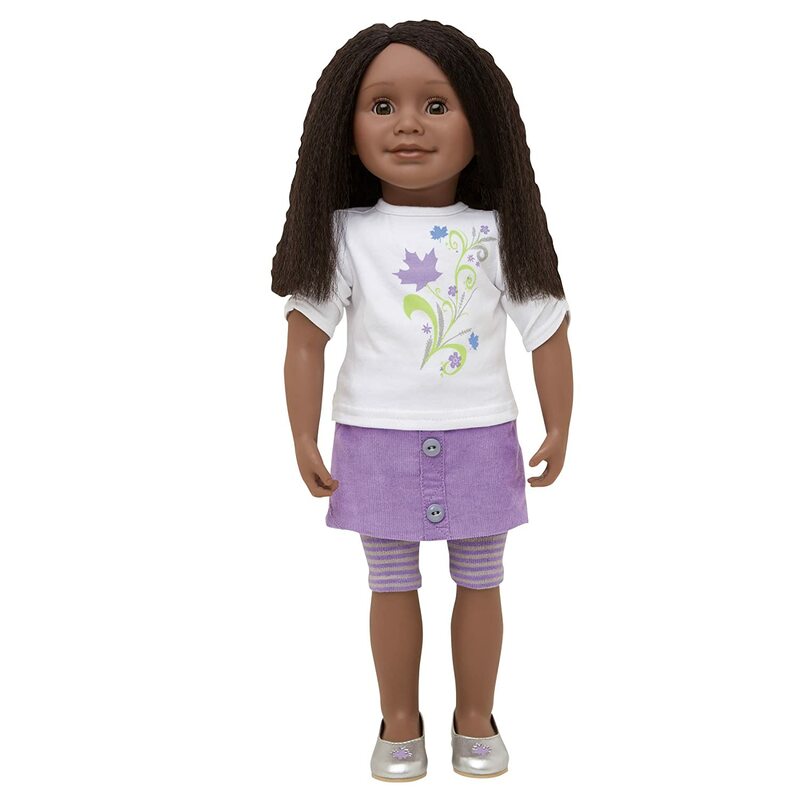 Also I like the doll! 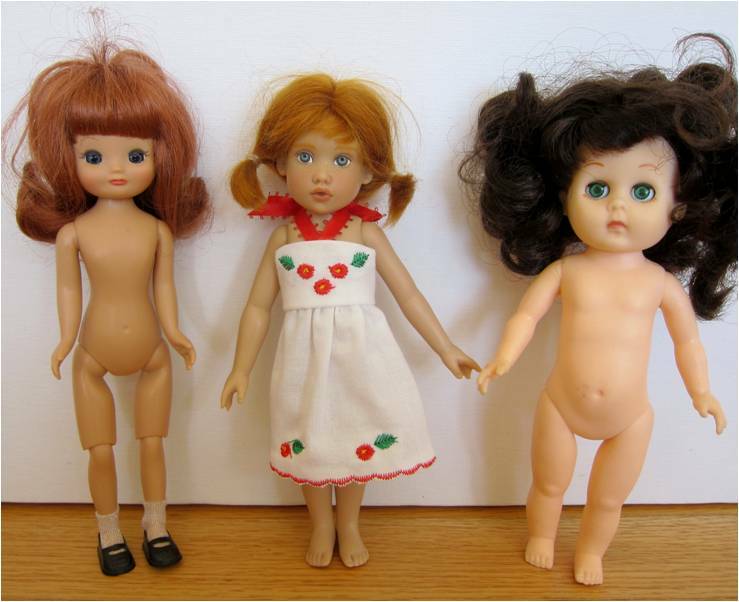 🙂 I spent many happy hours playing with these “Skinny Ginnys” of the early 1980s. 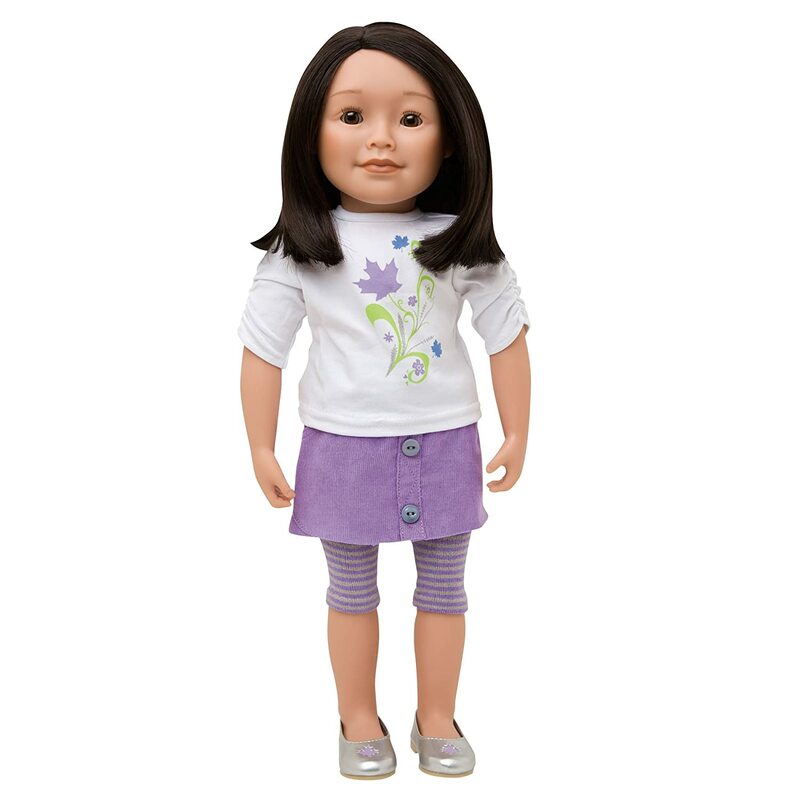 They were my Barbie substitute, because my mom thought her unrealistic figure was inappropriate for a little girl to play with and refused to buy her for me. 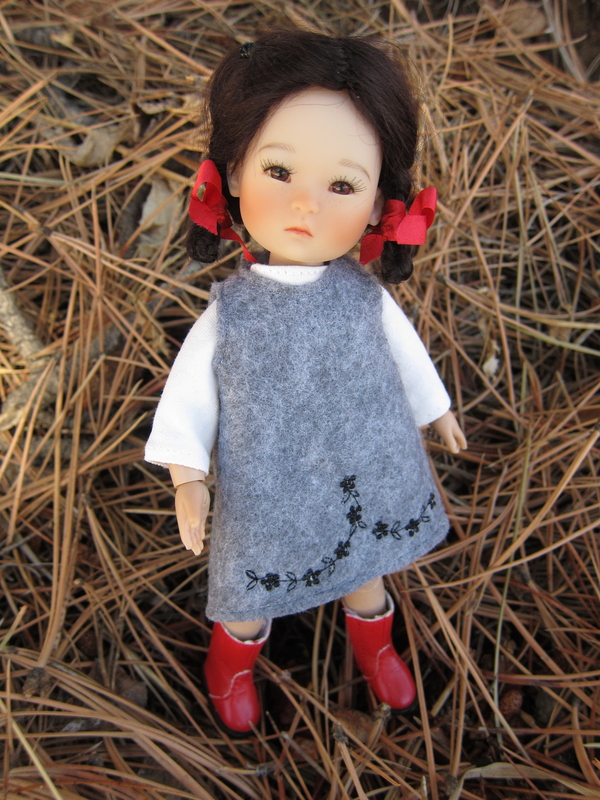 These ingenious little dolls are made from the simplest pattern imaginable, just a flat circle and rectangle that turn 3-D with a few stitches and some stuffing. It would be very easy to scale them up as toys for larger dolls! 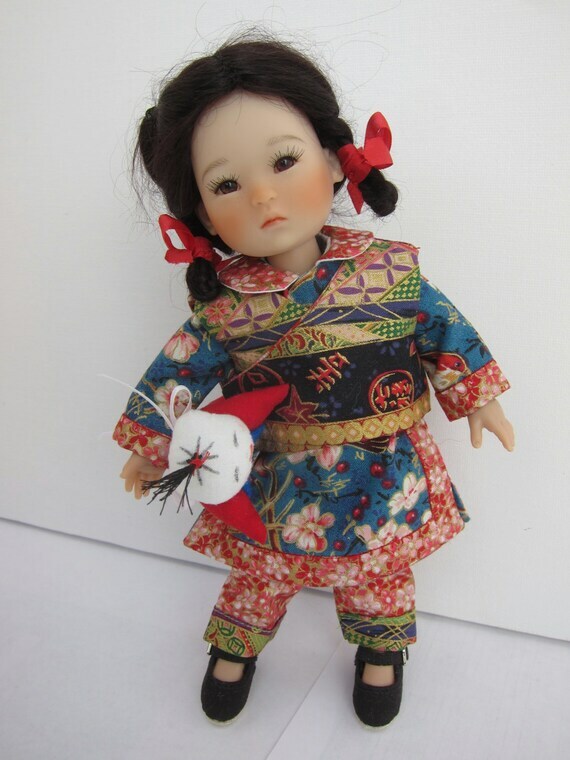 In Japan they are called O-sarukko, but the same style of doll is also popular in China, not necessarily as a plaything, but often decorating other things like pincushions. If anyone knows what they’re called in China, please post a comment! Just a reminder that you have until the end of this long weekend to get your entries in for the Tiny Doll Sewing Challenge! **IMPORTANT** If you’re entering the contest, make sure to put a link to your photo in your entry! If you put something generic like “posted on my blog” or “on Flickr” I can’t see your photo! 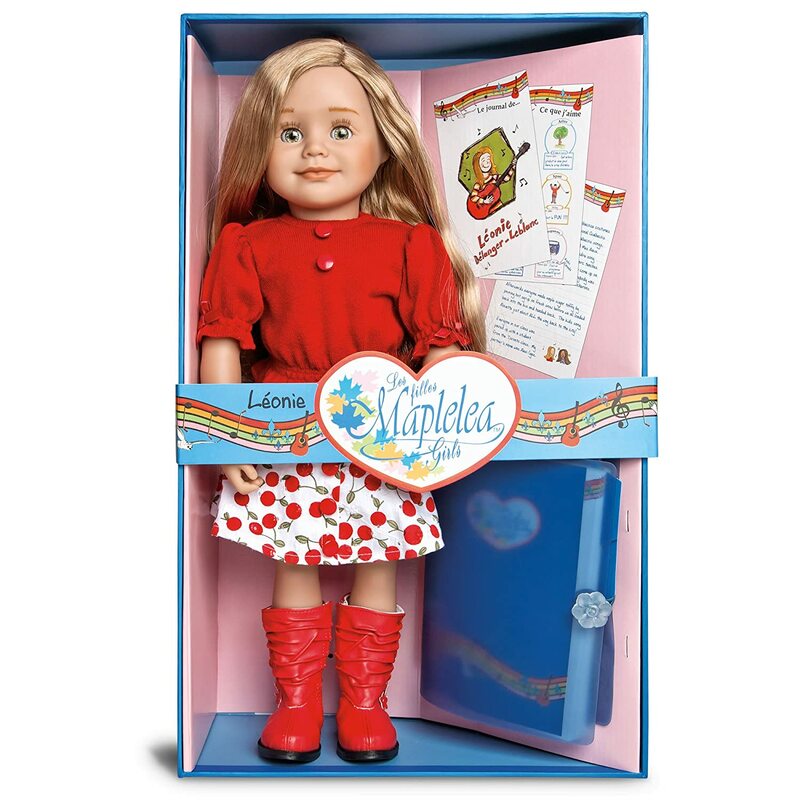 Always wanted a Maplelea but didn’t want to pay Canadian postage? 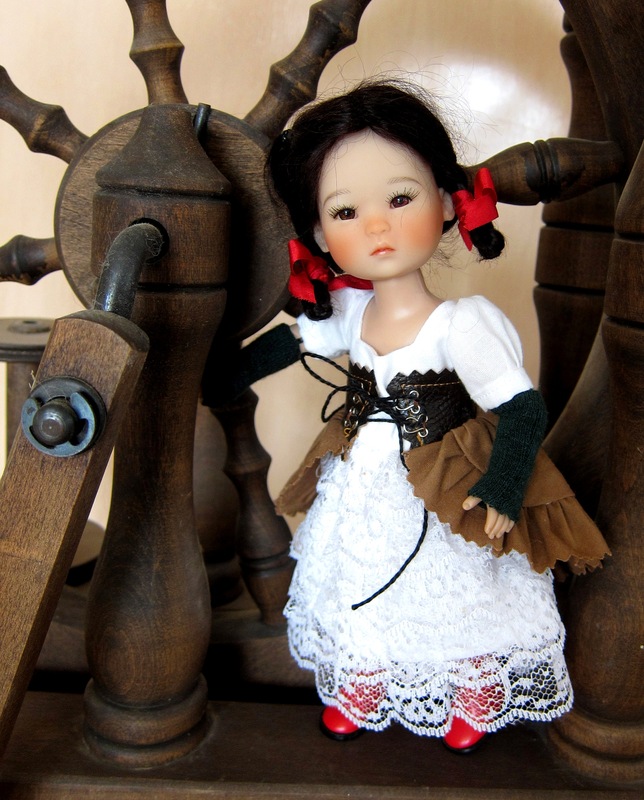 Ok, and now for the Tiny Doll Sewing Challenge! and then post a pic here. Is your outfit really awesome? Like contest-winning awesome? Enter to win the entire set of Ten Ping patterns coming next week! 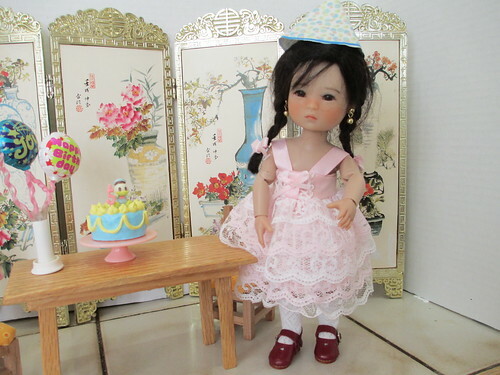 You can see some of the dress patterns here, and there will also be a play clothes set and one called “Shanghai winter” based on my favorite Ten Ping outfit by Ruby Red. Contest entries get time stamped and must be in by midnight Jan. 19th, 2015. Judging will be based on creativity and uniqueness. Winner will be announced Jan. 23rd on the blog. 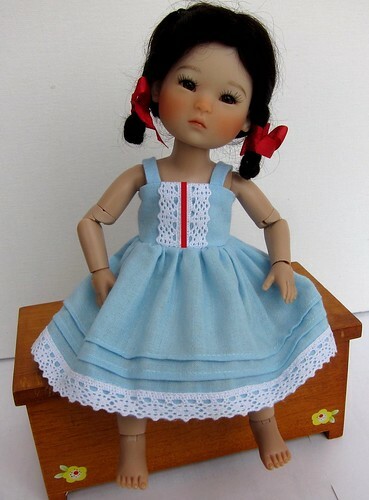 *This is meant to be a challenge to inspire you to sew for your poor, neglected, itty bitty dolls that never get new clothes because they’re “difficult to sew for”. 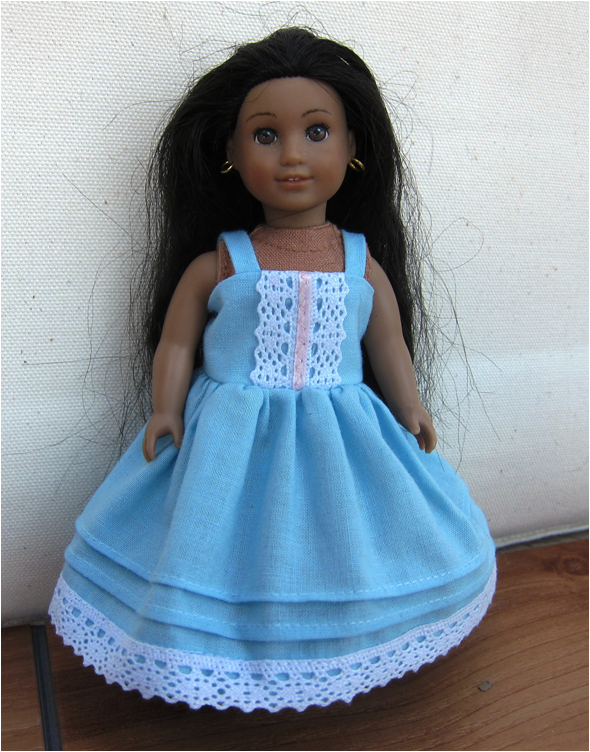 If you really don’t have anyone that small, you can try copying the pattern at 137% and shortening skirt to fit 10″ Tonner dolls like Ann Estelle, Patsy, etc. 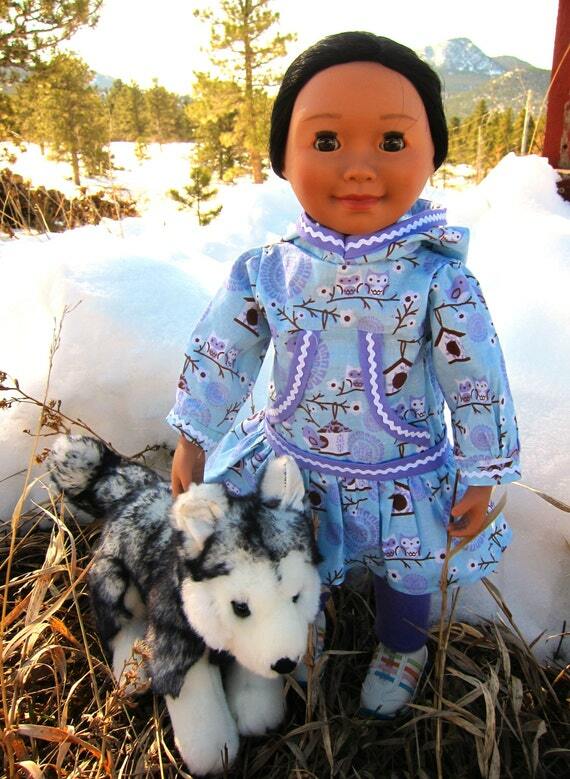 Check the fit by wrapping the pattern around the doll before you sew it in good fabric! UPDATE: A lot of people have asked, so here’s a pic of how the dress fits a mini AG without alteration. I’d suggest maybe shortening the bodice by about 1/4″ and overlapping the closure in back. You may want to shorten the skirt, or leave it long for a dressier look.